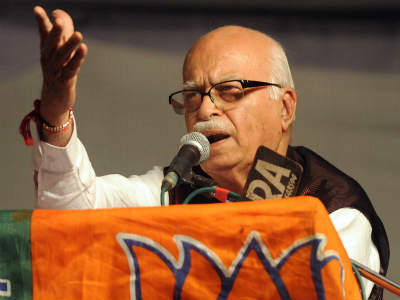 Advani's brand of politics is a perfect mix of the influences of Jupiter, Saturn and Mars! Time of Birth:- 09.16 A.M.
Lal Krishna Advani was born with Scorpio Ascendant and the Lord of Ascendant Mars is placed in the 12th House with Sun and Mercury in his Natal Chart. The presence of Saturn and Ketu in the Ascendant makes him a shrewd and sharp politician, with great diplomacy and skill of dealing with people. This is an ideal placement for a skillful and tactful statesman! Saturn in his Horoscope happens to be the Lord of the 3rd House and 4th House, out of which the former happens to be the House of courage, skill, decisiveness and communication and the latter represents the masses and public response. So, the placement of such a Lord in the Ascendant lends great strength to the Ascendant! It blesses him with great perseverance, patience, long life and the endurance to put up with great hardships! Ketu in the Ascendant makes him highly philosophical and spiritually oriented. It makes him an intuitive and blesses him with great foresight! The planets in the Ascendant are being aspected by the benevolent Jupiter, the Lord of the 2nd House (wealth and speech) and the 5th House (intelligence and Poorvapunya), being placed in its own House and Sign! Such a brilliant configuration of planets confers a lot of power fame. This placement also shows that Advani had the blessings even of the Almighty and the merit of the good deeds of the last birth. Such a well-placed Jupiter, that too in a trine, renders great power to the Horoscope and this Jupiter's aspect on the Venus in the 11th House, makes for a very beautiful 5-11 House axis! This gave him the power to realize his ambitions and to convert his ideas into action. Venus happens to be the Lord of the 7th House and 12th House. Due to the positive influence of Jupiter, the attributes and areas represented by Venus in his Chart, manifested well. Mercury, Sun and Mars in Libra give him intense focus and very strong determination. This combination makes him a very intelligent and determined person. This even infuses exemplary leadership potential within him. It gives him the ability to wield power and to nurture talent. The Parivartana Yoga between Venus and Mercury makes for a very interesting combination in the Natal Chart of Advani. This gave him great power of speech and a convincing way of putting forth his views. It also gave him the power to be unique and innovative. Mars, the Lord of the Ascendant and 6th House is located in the 12th House. Moon, the lord of the House of the 9th House (fortune) is located in the 6th House. This planetary combination cannot be said to be good for him. Due to this placement, his fortune may face some blocks and he may not be able to get completely positive results from his hard-work! He may have to put up with disappointment and discontentment in life on many occasions. For example, he could not realise his ambition of becoming the Prime Minister, although he was a worthy candidate for the same. The Jupiter Mahadasa (1992 to 2008) made him a formidable public leader of Indian Politics and the face of BJP and NDA. In that time he gained the enormous public response and mass appeal. He will have a long life-span because of Mercury – the Lord of the 8th House being in conjunction with the Lord of the Ascendant Mars in the 12th House and Saturn – the Karaka for longevity being placed in the Ascendant! He shall have a very long life and health will also be good. But the Lord of the 10th House of power, authority and fame – the Sun is placed in the 12th House of Losses. 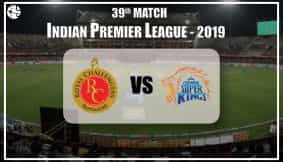 This indicates that sometimes due to his own mistakes, misjudgments and miscalculations, he may have to experience some problems and there may be power struggles. Even tasks which have been accomplished, may later on prove to be unsatisfactory. The placement of the Sun – the Lord of the 10th House, being posited in the 12th House doesn't represent a very good picture as regards the realisation of ambitions related to power and this may be the factor responsible for him not being able to achieve the positon of the Prime Minister of India, despite his calibre and political acumen. All these planetary positions took him to the extremely powerful levels of power, one of them being the slot of Deputy Prime Minister of India and In 2015 he was awarded the Padma Vibhushan, India's second highest civilian honour. Ganesha wishes a great time ahead to Lal Krishna Advani.